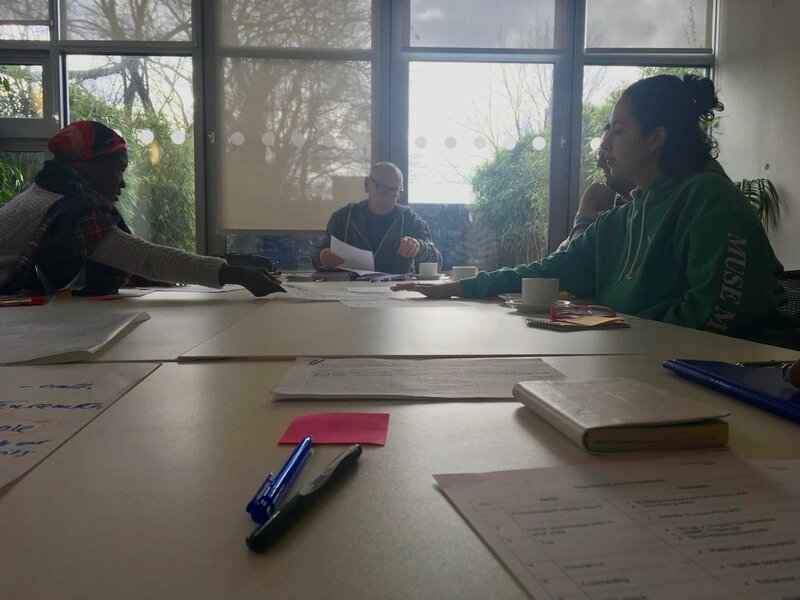 After the engaging Business of Art sessions, we are now planning a series of skill-focused workshops which are set to take place in Huddersfield and Sheffield. These are to follow the taster sessions delivered by Magdalen Bartlett, an arts manager & creative business advisor, who has provided her mentoring to potential and current artist-associates and put together engaging sessions with interactive exercises and a practical checklist, all designed to locate areas which most of the artists struggle with professionally. Income from teaching your skills to others: effective teaching styles, session planning, group work & 1:1 tuition. Approaches, leadership, pricing, union rates, membership associations, tuition fees, insurances. Creativity: personal & professional, motivation & maintenance. How to keep going creatively and manage time & energy. Well-being, therapy, support groups. We are looking to arrange these working group sessions in the coming weeks - we'll keep you posted. A big thank you to everyone who came!